A number of high profile websites have fallen victim to security breaches this week and if today’s developments are any indication, it doesn’t look like the end is anywhere in sight. 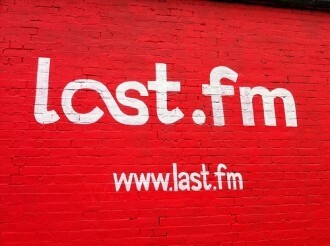 The latest victim is Internet music provider Last.fm who confirmed earlier today that an unspecified number of user accounts and passwords have been compromised. The statement on Last.fm’s website says that they are currently investigating the leak of “some” user passwords and even acknowledge that other sites have been targeted recently. Such acknowledgement brings into question whether or not this attack is related to the others but at this time, there’s no solid evidence to back up this theory. As per typical procedure, the site suggests that all users change their passwords immediately and not to use the same password they use for other sites. Users are encouraged to follow them on Twitter for continued updates. This is the third high-profile leak in the past two days. Yesterday, LinkedIn was hit and an estimated 6.5 million passwords were made available online. Later that evening, dating website eHarmony acknowledged that some of their accounts had also been compromised. At the time of the LinkedIn hack, Ars Technica reported that eHarmony might also be involved since a number of leaked passwords contained the words “harmony” or “eharmony”. As we now know, their prediction was correct but what remains unclear at this hour is if the Last.fm hack is related in any way or just a sheer coincidence.